Irritable bowel syndrome, or IBS, is the most common functional gastrointestinal disorder in the world. Although gastroenterologists diagnose IBS frequently, many people don’t even recognize the symptoms. Symptoms may include pain in the abdomen, change in bowel habits, constipation, diarrhea, indigestion, nausea, excessive gas, abdominal cramping and loss of appetite. This is where Traditional Chinese Medicine (TCM) can help. TCM treats every individual holistically, taking into account their well-being, both physically and psychologically. TCM incorporates many different modalities to treat a patient, but the most common are acupuncture, Chinese herbs and nutrition. At Balance Within in encino, we make sure to take in both physical and any emotional stressors that may be contributing to the IBS symptoms. 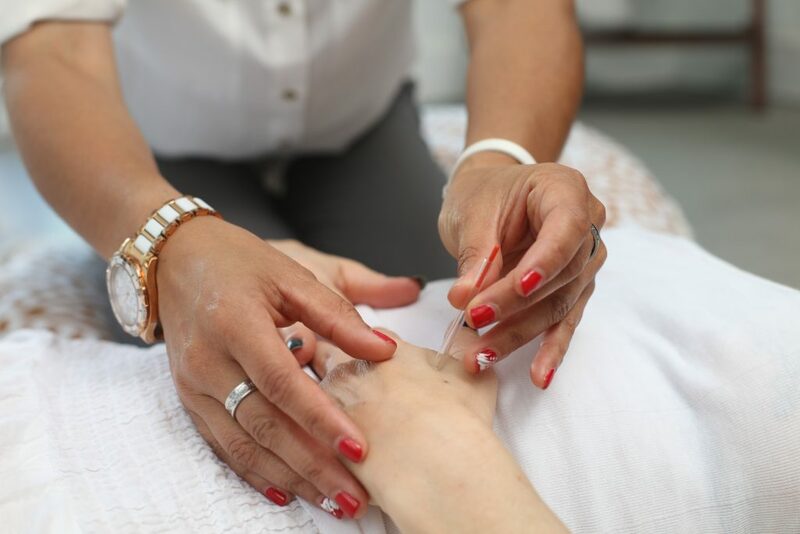 Our acupuncture treatments will cover both grounds during treatment. Acupuncture for IBS: In TCM, the spleen, liver and gallbladder all play vital roles in gastrointestinal health. The spleen is in charge of digestion and stress, which weakens the energy of the spleen and can then lead to disharmony of the gastrointestinal tract. The liver keeps all the energy in the body flowing smoothly. Stress also affects the liver and can lead to liver Qi (pronounced “chee”) stagnation. Qi is the equivalent of energy. The gallbladder is the sister organ of the liver, and it often gets involved too. When treating IBS, a licensed acupuncturist will address any imbalances in these three energetic systems, while also treating any other underlying issues. Things like excess heat and dampness will be removed from the body through the use of acupuncture. These two manifestations are the primary causes of IBS according to TCM. Our acupuncturists in encino specialize in treating IBS along with more severe conditions like IBD. If you have any questions about how acupuncture can help IBS or IBD please do not hesitate to give us a call and see how our treatments can help you. Large Intestine 4 – This point is located on the back of the hand bilaterally, between the thumb and forefinger, where the mound of flesh is the thickest. Large intestine 4 is the source point for the large intestine channel and it is great for aiding in digestive disorders. The location of this powerful point is located to the right and can be used in many different types of treatments. Stomach 25 – Found bilaterally on either side of the belly button, about 2 thumb widths away from the center of the navel. This point helps move abdominal blood, which can alleviate gastrointestinal disorders. Ren 6 – Located 2 finger widths below the belly button on the midline of the body, this point strengthens the large intestine and helps relieve constipation and abdominal cramping. Another integral part of TCM is the use of herbs and herbal formulas. Many times the herbs can be used alone, but there is more of a synergistic effect when the single herbs are combined to make a formula. One formula used frequently is Tong Xie Yao Fang, which includes herbs that smooth the disharmony between the liver and spleen, such as Chen Pi and Bai Zhu. Another popular formula used to treat the damp heat form of IBS is Ma Zi Ren Wan. This formula contains Ma Zi Ren and Xing Ren, which help drain damp heat from the intestines. If you are curious which formula is best for your IBS symptoms, please call one of our acupuncturists in encino to ask which formula is right for you. Nutrition, the third leg of TCM treatments, is very important in the treatment of IBS. In some cases some people who suffer from IBS need to increase their intake of fiber. So foods like bananas, almonds, blueberries and avocados are all great choices. It is also recommended to avoid excessive gluten intake. Gluten is found in most breads and pastas. For some, gluten needs to be eliminated altogether. Gluten can upset the digestive in some cases and cause internal inflammation. Processed, greasy and fried foods are also not good choices for IBS sufferers, as they disrupt the gut microbiome and are hard to digest. Seeking help from a locally licensed acupuncturist is a great way to handle IBS. Traditional Chinese Medicine can guide you along the path to wellness and can work cooperatively with your gastroenterologist’s regimen to give you the best chance of success. Please keep in mind that the acupuncturist you see should be very experienced in digestive disorders like IBS and IBD. If you have any further questions or concerns, please do not hesitate to contact one of our acupuncturists in encino that specialize in digestive disorders.